Welcome, all runners, to San Luis Obispo, a community bursting with fun trails, races, and events that will make you want to lace up your shoes and hit the ground running! Whether you’re looking to keep up your fitness routine while on vacation, or you’re traveling here for a race, San Luis Obispo has activities for all varieties of runners and ability types. You’ve made it all the way to SLO and now you’re looking for a place to get out and log some miles, good thing the city is overflowing with great trails to get your heart pumping. Here are just a few of the top running trails in San Luis Obispo. Johnson Ranch Open Space: Located just off the 101 between SLO and Pismo Beach, the Johnson Ranch trail is a local favorite for trail runners looking for a little bit of elevation gain and a 2.5 to 3.7 mile loop. If you do your research before heading out, there is also a lesser known connector trail between Johnson Ranch and Irish Hills for runners looking to add more miles before calling it a day. Irish Hills Natural Reserve: Irish Hills, which can be accessed at the end of Madonna Road and Devaul Ranch Road, houses over 8 miles of running trails for runners looking to get in miles with the added bonus of elevation. Once at the top, expect rolling hills and beautiful views. Stenner Canyon: A Cal Poly cross country team favorite, Stenner Canyon offers runners many mileage options. Many runners get to the canyon by starting at their houses or on campus, but there is ample parking on Stenner Creek Road. Start from the Cal Poly meat processing center and follow the dirt road up through farmland and into the local mountain biking oasis known as “The Eucs.” If you’ve got it in you, the trail stretches far enough to wrap into Poly Canyon, home to the famous Architecture Graveyard. Poly Canyon Loop: Accessed from Via Carta Road on Cal Poly campus, this 7.1-mile loop takes runners up into the hill behind Cal Poly. If you’re looking to cover some San Luis Obispo sites while out on the run, this trail is a great way to get in some miles and experience scenic San Luis Obispo. 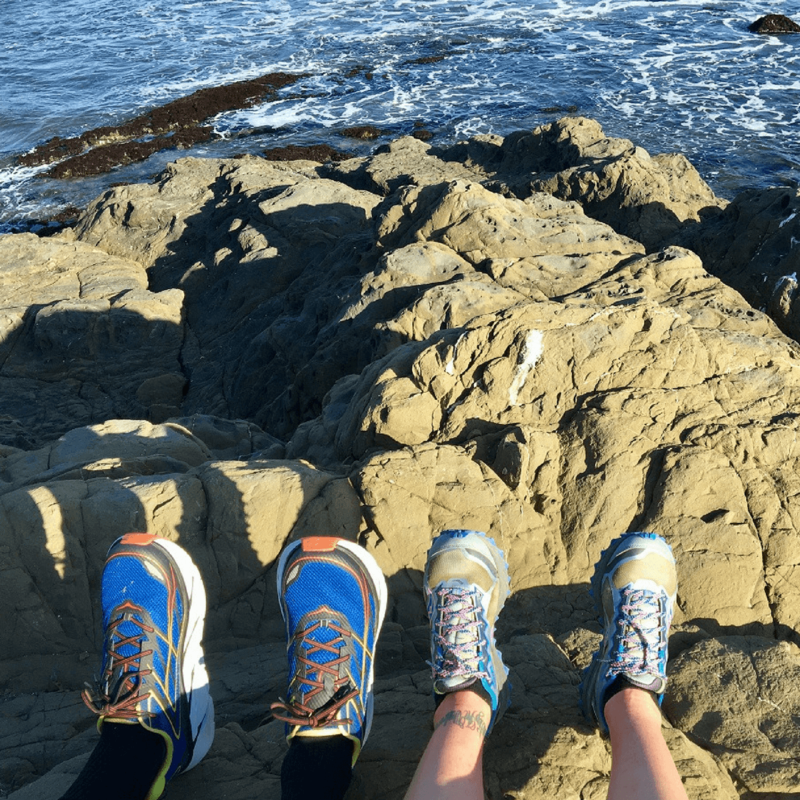 Montaña de Oro: Known by the locals as MDO, this California state park offers miles of mountains, canyons, and cliff-side trails that runners in the area can’t get enough of. You’ll often experience large crowds of runners getting in their long runs out at the Point Buchon trail. Home of Race SLO and headquarters of running specialty store Running Warehouse, there are running events and races in San Luis Obispo throughout the year. If you’re looking to race while in the area, here are just a few of the local favorites, spanning from one-mile races and ultra endurance runs, to weekend community runs (that come with a free breakfast). City to the Sea Half Marathon: Known for its incredible views and awesome after party, this half marathon and Seaside 5k raises money to support the Cuesta College track & field and cross-country teams. Go do good and have some fun! Blue Mile SLO: A growing local favorite, this race is a fast, 1mile run down the Jennifer Street Bridge railroad trail. The race ends at Bang the Drum Brewery for beer, good company and, as of last year, also includes a ticket to a San Luis Obispo Blues baseball game in each participant’s race entry! 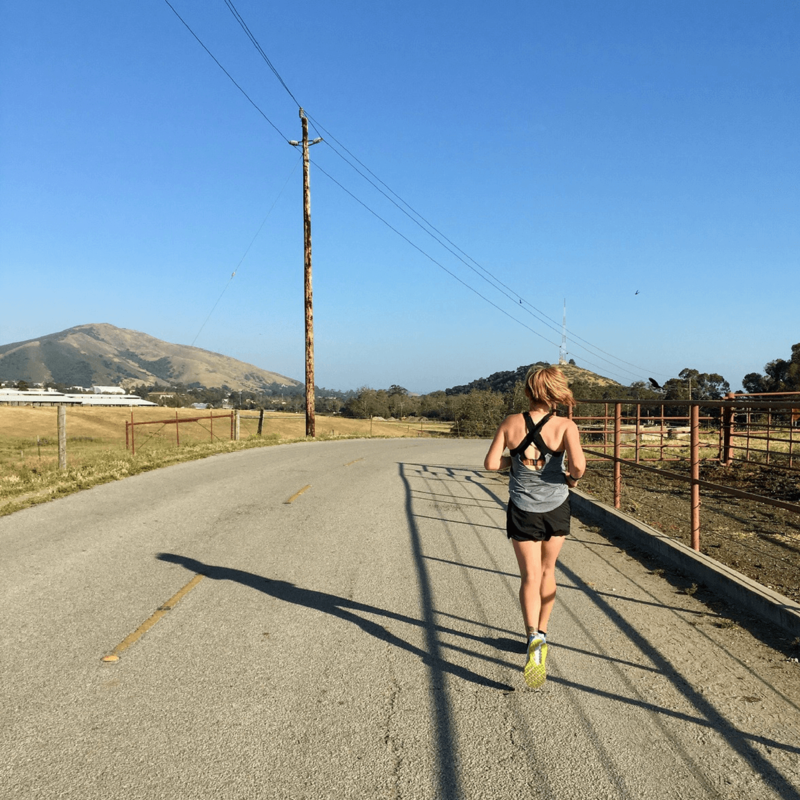 SLO Marathon + Half: A popular race often featuring local running stars such as Jordan Hasay, the SLO Marathon + Half is a course that takes racers all around San Luis Obispo and is built to test physical and mental strength. The best part of this fun event is running by locals coming out of their homes to cheer on participants. Added bonus: their sideline posters and cheers will make you laugh and distract you from the grueling miles you’re running. SLO Ultra: SLO Ultra really has it all, offering racers the choice of a 50-mile, marathon, half marathon, or 5-mile race. The races are going on all weekend long and feature music, food, and wonderful guest speakers. SLO Ultra is an experience runners visiting the area just shouldn’t miss! Running Warehouse Pub Runs: If you are in the area on a Tuesday evening, check in with Running Warehouse to see if they’ll be having a pub run. These community runs are local favorites because of the free raffle after the 3-5 mile run and a complimentary beer to the first 100 runners to arrive. Running Warehouse Breakfast Runs: A great way to jumpstart the weekend, Running Warehouse holds Saturday morning breakfast runs close to once a month. Show up, try out whatever the visiting sponsor has to offer, and take off for a 3-7 mile community fun run followed by free breakfast! 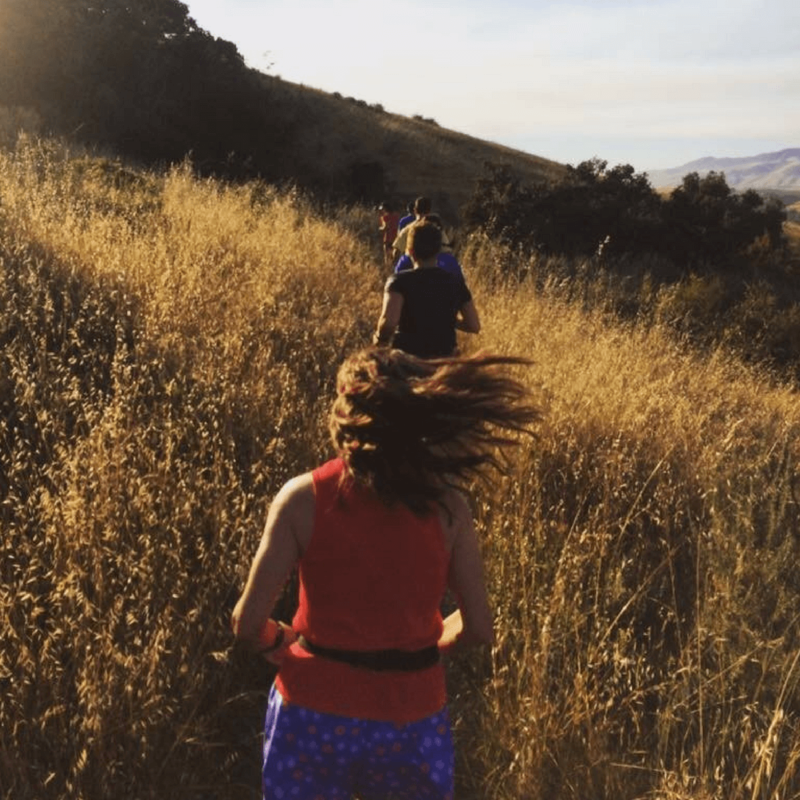 A hidden gem, these breakfast runs are a great way to meet other runners in SLO. The SLO running community has been all over the running news! That’s right, running in SLO is so popular that the city has received features in Runner’s World magazine, Backcountry, and I Run Far, because of its active environment and incredible landscapes. If you are a runner looking to plan an active vacation, San Luis Obispo is the destination for you!